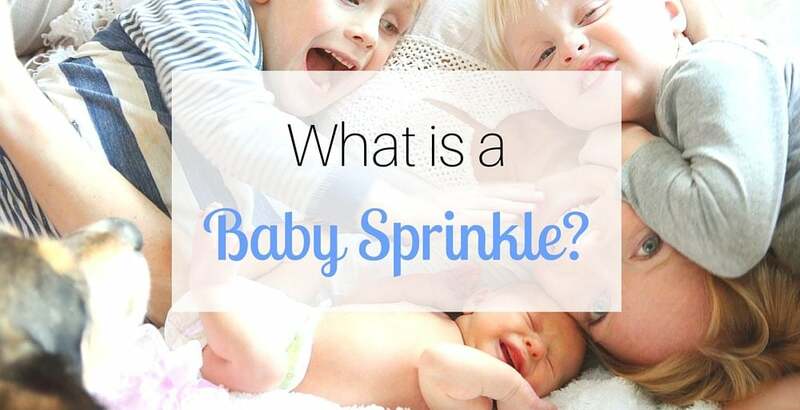 What is a Baby Sprinkle? You are here: Home / Resources / What is a Baby Sprinkle? Baby showers are a great way to “shower” the parents-to-be with gifts they’ll be needing for their little one, and enjoy some fun and food at the same time! 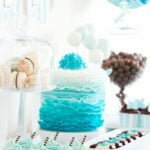 Traditionally, baby showers have been held for first-time moms who need to be “showered” with lots of baby gifts and supplies for the very first baby they are expecting. But what about for the second or third child? A relatively new trend was coined: “baby sprinkles”. A baby sprinkle is a small shower given for families expecting their second or third child. It’s a celebration of the new addition to the family. Typically less gifts and supplies are given. 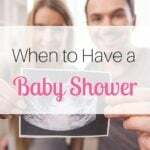 A baby sprinkle is the perfect time for family and friends to come together and celebrate the anticipated addition to the family, but with less of the formality and pressure of the baby shower. Because this is not the first time that the parents are having a child, they likely already have many of the supplies needed for their new baby (unless the coming baby is the opposite gender of the previous one, in which case a full-blown baby shower may be planned). Ultimately a baby sprinkle is still a baby shower, so the same sort of rules apply, family and friends, food, and fun! Let’s start with the first thing there, family and friends! A smaller guest list is one of the primary differences between showers and sprinkles. 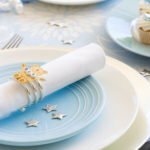 Obviously guest lists will vary by Mama-of-honor, but typically a baby shower will include a large, all-female guest list comprised of immediate and extended family, friends, and coworkers. Baby sprinkles however, the guests invited are usually limited to family and closer friends, men included, so feel free to let your hair down and relax a bit! A baby sprinkle is a great way to still celebrate the new addition without the focus on gifts. Some people frown on having a shower for a 2nd baby because it looks like it’s only a way to get gifts. A baby sprinkle eases that tension because your closest family and friends want give gifts for the new baby regardless, and would know what you’d actually need for your upcoming arrival and not another baby bath tub! You know how I said a baby sprinkle is usually a more relaxed atmosphere because it’s only family and closest friends? That means we’re skipping the fancy finger foods, dainty petit fours, and sparkling pink lemonade, for something a bit more family-friendly! Order pizza, fire up the grill, host a potluck and have everyone bring a dish. Just be sure to run the menu ideas by the guest of honor to make sure they sound good, as you know pregnant women can be very opinionated about food! Some children can feel anxiety or insecurity when a new sibling is on the way, but a baby sprinkle can be a great way to reassure them of their place in the family. So when you’re planning activities and games to play during the party, always keep the older siblings in mind! Spending this time together as a family and rejoicing in the upcoming addition to the family will only make them more comfortable and even excited to meet their new sibling!